We give our livers quite a challenge due to the complicated lives we live. With a whole array of process foods at our fingertips, we fill our bodies with all forms of toxins that were not previously available in decades and centuries before. From sugary drinks to salty snack, from fast food to flavorings, we dump all kinds of toxins on the liver and hope for the best. 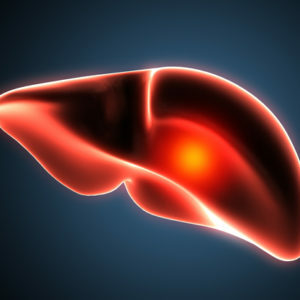 However, the liver, despite its excellent ability at regeneration, sometimes needs a little care and attention. 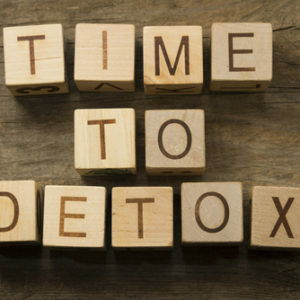 Detoxification is one way to do this, through enemas, teas, no alcohol, and fresh diet. However, it is also worth giving that liver a little love through exercise. That may sound strange to think you can exercise your inner organs, but here are a few moves that help to wring out the liver, helping it to detoxify the body. The liver sits just below the rib cage on the right side. By pressing up and underneath the ribcage, you can feel the liver. Make sure that your abdominal muscles are relaxing. Press the liver with your fingers and gently massage it. Press it 20 times a day as this helps it relax and work more effectively. By folding forward from the waist, this not only helps with anxiety and depression, it helps to get the digestive system going. This bend at the waist also gives the liver and excellent massage., as does the spleen and kidneys. Stand with your feet hip-width apart, and bend at the waist. Keep your knees bent and leave your hands and head hanging heavily. This stretches the entire length of the spine, but at the same time, stretches your transverse and rectus abdominals which hold all the organs in the right place, including the liver. This pose is done by laying flat on the stomach and bringing your hands next to your hips. Push down on the tops of the feet and the hands and lift the chest while keeping the legs pressed flat into the floor. Lift your head to feel the full stretch. This exercise wrings the liver out, which helps to squeeze toxins from it. Start by bending your legs, sending your buttocks backward into a chair position. Place your hands in a prayer movement with the elbows out wide. Twist to the left and place the right elbow on the outside of the left thigh. Push with your elbow against your thigh. Now do this in reverse on the other side. Lay on your left side as this allows the abdominal muscles to relax and the liver to tilt forward, making t easier for you to find. Clench the right fist and gently tap the liver with the right fist in a rapid motion. Do this 20 times a day. This helps to get the liver functioning properly and encourages healthy activity. Taking care of the liver is extremely important as it is the key in detoxifying your body. If the liver is struggling to work, it is not ridding your body of toxins, which build up within the system causing illness and disease. Poor liver health can also result in a buildup of fat in the liver, making it even more difficult for the liver to perform healthily. Practicing these small exercises regularly, and especially after a heavy night of drinking, will help to keep the liver in good shape and functioning to protect your system.